The Jersey Shore D-Bags beat the Montana Pandas, 6-4, at Ballpark at the Shore. The win was largely due to the efforts of second baseman Javier Deleón, who captured player of the game honors. He went 3 for 4 with a home run and a double, while scoring 2 runs and driving in 2. The D-Bags, at 42-32, sit in second place in the Continental League Eastern Division. Vic Langlois went 1 for 3 for Jersey Shore. 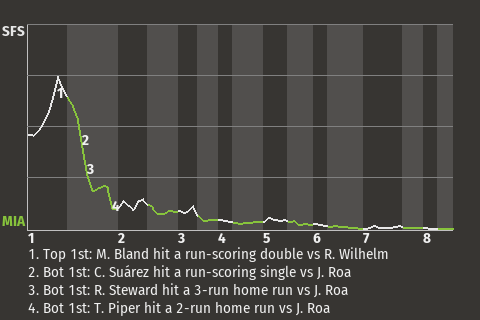 The 33-year old third baseman had a key at-bat in the bottom of the eighth. With one out and a runner on 3rd, he broke a 4-4 tie with a run-scoring sacrifice fly off Jesús Ramírez. It was his 48th RBI of the season. "It was a solid team effort," said Deleón after the game.